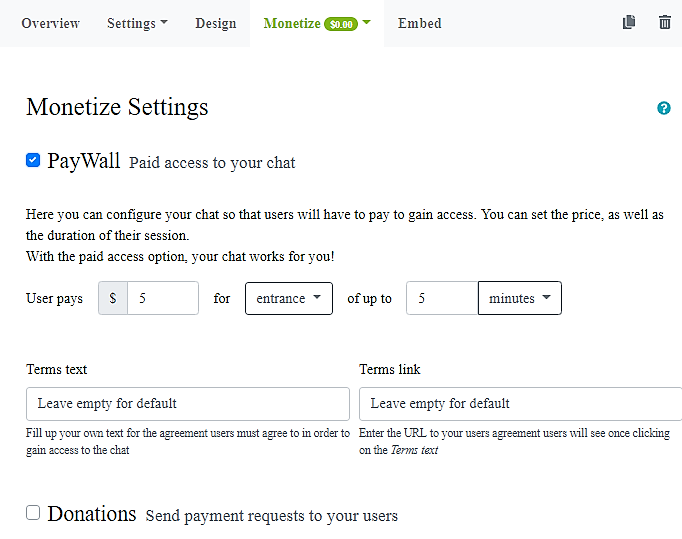 RumbleTalk PayWall (paid access) is a configurable option allowing you to charge your users a fee for various actions in the chat room. Currently, we support PayWall for logging into the chat. Previous postCan I use RumbleTalk PayWall in my website? Next postDo you have black word list control?